Major Publications: Stephens is the author of The Fire Spreads: Holiness and Pentecostalism in the American South, (Harvard University Press, 2008). Stephens is working on The Anointed: American Evangelical Experts, with Karl Giberson (under contract, Harvard University Press); He is the editor of Recent Trends in American Religious History, part of the Historians in Conversation Series (under contract, University of South Carolina Press), and is the Bibliographic editor for The Columbia Guide to Religion in American History, edited by Paul Harvey and Edward Blum (under contract, Columbia University Press). Stephens is also working on these projects, editing A Primary Source Reader in American Religious History, and a new manuscript I Hate Rock and Roll: Anti-Rock and American Christianity, 1955-1975. Stephens is also the author of the following peer-reviewed articles and book chapters; “The Holiness/Pentecostal/Charismatic Extension of the Wesleyan Tradition,” in The Cambridge Companion to John Wesley (under contract, Cambridge University Press); Sam Jones’ Own Book, 1886. With a New Introduction by Randall J. Stephens. Southern Classics Series (forthcoming, University of South Carolina Press); “‘Ohio villains’ and ‘pretenders to new revelations’: Wesleyan Abolitionists in North Carolina and Virginia, 1847-1857,” in Festschrift for Bertram Wyatt-Brown (forthcoming, University Press of Florida); “‘There is Magic in Print’: The Holiness Pentecostal Press and the Origins of Southern Pentecostalism,” in Southern Crossroads: Perspectives on Southern Religion and Culture, (University of Kentucky Press, 2008) and the Journal of Southern Religion 5 (2002); “Interpreting American Pentecostal Origins: Retrospect and Prospect” in Interpreting Denominational History: Perspectives on the Past, Prospects for the Future (University of Alabama Press, 2008), and “The Convergence of Populism, Religion, and the Holiness-Pentecostal Movements: A Review of the Historical Literature,” Fides et Historia 32, no. 1 (Winter/Spring 2000): 51-64. Stephens has also authored numerous articles and interviews for The Journal of Southern Religion, Historically Speaking: The Bulletin of the Historical Society, and Books & Culture, Christianity Today. Elected to Who’s Who Among Students in American Colleges and Universities, 1994. Formerly Adjunct Professor University of Florida, (Fall 2003-Summer 2004). Stephens has designed and maintained the following websites Eastern Nazarene College, Journal of Southern Religion, The Historical Society, History Department, Eastern Nazarene College, The Polkinghorne Society Open Theology and Science, British Abolitionism, Moral Progress, & Big Questions in History, A conference jointly funded by the John Templeton Foundation and the Historical Society, 26-28 April 2007, Crowne Plaza St. James, London, David Brion Davis, “Slavery, Emancipation and Human Progress,” a free public lecture, 26 April 2007, Central Hall Westminster, London, and Tidal Wave Magazine. 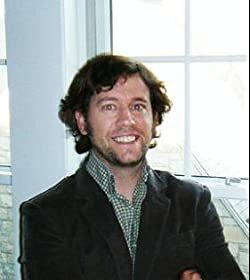 Stephens is an editor of the Journal of Southern Religion and an associate editor of the review of the Historical Society, Historically Speaking. From 2001-2004 Stephens was the editor for Tidal Wave Magazine (a music, film, and indie-culture publication); and from 1998-2002 he was a music writer for Skyscraper Magazine (NY), Harp Magazine (MD), Satellite Magazine (FL), Tidal Wave Magazine (FL), and Ink19 (FL). Since 1996 Stephens has been a member of indie rock outfit Jetenderpaul, which released three full length cds, one e.p., and two 7″ records on Velvet Blue Music (Huntington Beach, CA), Burnt Toast Vinyl (Philadelphia, PA), and Hype City Records (Norway). I grew up in Olathe, Kansas. It’s a pretty typical, sprawling bedroom community outside of Kansas City. Thomas Frank summed up our county pretty well in What’s the Matter with Kansas?. He called it cupcake land, where McMansions come in beige, darker beige, and gray, and where the Republican Party has a lock on the citizenry. Olathe and its environs also have very little of what easterners, southerners, or Europeans would count as “history.” No Colonial Williamsburg or ancient Boston is this. Minus the Mahaffie Stagecoach Stop and Farm there’s little in Olathe worth a historic marker. Sure, we had an Old Settler’s Day parade, but no Jebediah Springfield, and no sense of what was “old” about it. My English brother-in-law likes to joke with his mates who come over from the west country about this fact, which must seem so very odd to people who live a few miles from Stonehenge. “I can show you a strip mall that dates back to the early 1980s,” he tells them. I do recall a Baskin Robbins on the main drag that was built in the mid-1970s. My family did make the occasional trip to the coasts. I peered over the glass in D.C. to look at a yellowing constitution, took in the ambience of ghost towns in the West, and walked the cobblestone streets of Boston’s north end. But that was like going to Universal Studios. These places seemed like sets to me. Back home in Olathe—watching television or movies—history was almost indistinguishable from science fiction or fantasy. Ewoks or cowboys, Revolutionary War soldiers or Cylons, it was all Greek to me. Whenever I did encounter the gritty, dusty, frightening realities of the past, it drew me like a moth to a flame. One summer, while I was still a teenager, I decided to investigate an overgrown cemetery where settlers buried their dead along the Santa Fe Trail. The crumbling mid-19th century graves, victims of the elements and indifference, fascinated me. Later, in some strange adolescent macabre twist (I think I was listening to too much Love and Rockets, Smiths, and Cure), I made clay impressions of the tombstone engravings. I worked these into hand built ceramic boxes, which I gave to friends. “Our Beloved Infant Son. Died August 6, 1855.” Inspiring. In college, the South—with its ironies, conflicts, and tragedies—captivated me. In what other region has history seemed to come alive in all its grotesque and beautiful glory? Faulkner’s oft-quoted line about south’rin history bears repeating: “The past is never dead,” Gavin Stevens remarks in Requiem for a Nun (1951). “It’s not even past.” So I went full throttle into that never-forgotten, thick history by studying with Bert Wyatt-Brown, a student of C. Vann Woodward, and carrier of W. J. Cash’s torch into the 21st century. I did not focus on duels, eye-gougings, suicides, nose tweaking, and the like. Yet Bert’s work had a significant impact on my own. My book, The Fire Spreads: Holiness and Pentecostalism in the American South (Harvard University Press, 2008), helped me to recapture some of the foreignness and complexity of two eye-popping religious movements. I grew up in the holiness tradition. My grandpa was a fiery Wesleyan minister, who, like Robert Duvall in The Apostle, could thunder with the best of them. Yet the plush, carpeted, and extravagant mega-church of my youth was miles away from the sawdust trail and the moldy tents that shouting preachers once carted from one small town to another. Our domesticated Nazarene sanctuary was a sharp contrast to the “glory barns” and storefront tabernacles of one hundred years ago. That was a perfect problem for a historian to work with. As I made my way through the research and writing stages I wondered, How can I chart such changes over time? How do I recover and make sense of what’s been lost or altered? These and other questions have stayed with me on subsequent projects. My research took me into what Greil Marcus called the Old Weird America. White dirt farmers and small town merchants as well as black railroad porters and domestic servants came together in this new, rowdy religious movement. 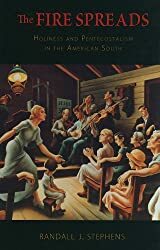 They brought with them their upcountry folkways, sacred harp songs, and Delta ballads. I poured over diaries, hymnals, and deteriorating newspapers that recounted wild and woolly scenes. In the holiness and pentecostal revivals of over 100 years ago initiates rolled on the floor, spoke in tongues, cast out demons, and banged away on upright pianos. That didn’t set well with many a southerner. I was most intrigued by the conflicts that enthusiasts rushed headlong into. Self-anointed street preachers squared off with their Baptist, Methodist, and Presbyterian cultured despisers. Pentecostals called attention to the boring meetings of the South’s frozen chosen. By contrast, pentecostal services were intense and emotional. Mill owners tried to shut down loud tent revivals that carried on into the night. And, occasionally, believers thumbed their noses at the local establishment by holding integrated services. Thanks to Harvard’s Widener Library and Proquest’s digitized newspaper collections, I stumbled onto some real gems. When the faithful held a mixed-race service in 1912 in the West End of Atlanta, the Atlanta Constitution headlined, “‘Rollers’ Have No Color Line.” It was scandalous: “white women mingled nightly until midnight with negroes in ‘Holy Roller’ meetings” and “joined the negroes in their wild demonstrations of ‘religious intoxication. '” Stalwarts retaliated to these and other challenges in their own way. They proclaimed that God was on their side whenever enemies fell dead in the middle of church services or were run over by freight trains. It’s enough to make even Flannery O’Connor blush. Sometimes I think it’s odd that I entered an area of history that is, in many ways, so incredibly removed from the manicured lawns and suburban calm of Olathe, KS. But like so much else in life, we’re often attracted to the things that are foreign/alien to our own experience. I am an editor for Christian.com which is a social network dedicated to the christian community. As I look through your web site I feel a collaboration is at hand. I would be inclined to acknowledge your website offering it to our users as I’m sure our Pentecostal audience would benefit from what your site has to offer. I look forward to your thoughts or questions regarding the matter.